30th day of Inktober! After today, only 1 more day and picture left! What a project! 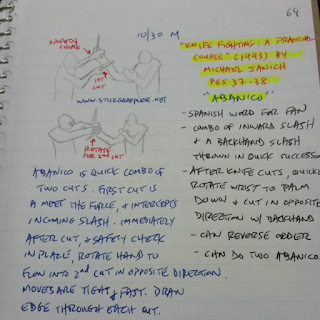 Today's picture is on the Abanico technique as taught by Michael Janich that is common in the Filipino Martial Arts. 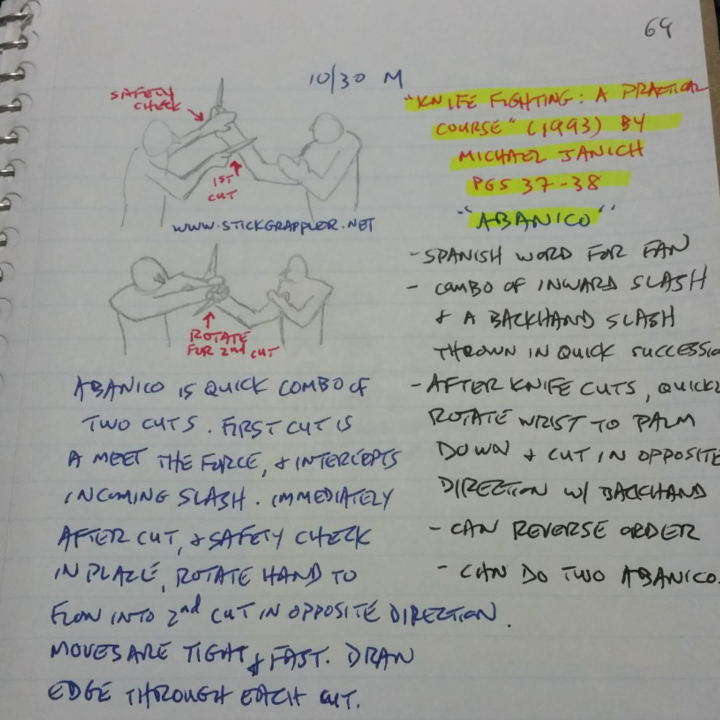 "Abanico" is a quick combination of two cuts. First cut is a 'meet the force' (your attack meets his attack) and intercepts the incoming slash. Immediately after the first cut, put your safety check in place and rotate your hand to flow into a second cut in the opposite direction. Moves are tight and fast. Draw your edge through each cut. "Abanico" is the Spanish word for "Fan"